DESCRIPTION: IWS achieved a milestone this Fall in being the first company to construct and start-up an on-site Advanced Treatment Unit for domestic wastewater at a commercial site in Riverside County, CA. IWS achieved a milestone this Fall in being the first company to construct and start-up an on-site Advanced Treatment Unit for domestic wastewater at a commercial site in Riverside County, CA (Population 1.8 mm). 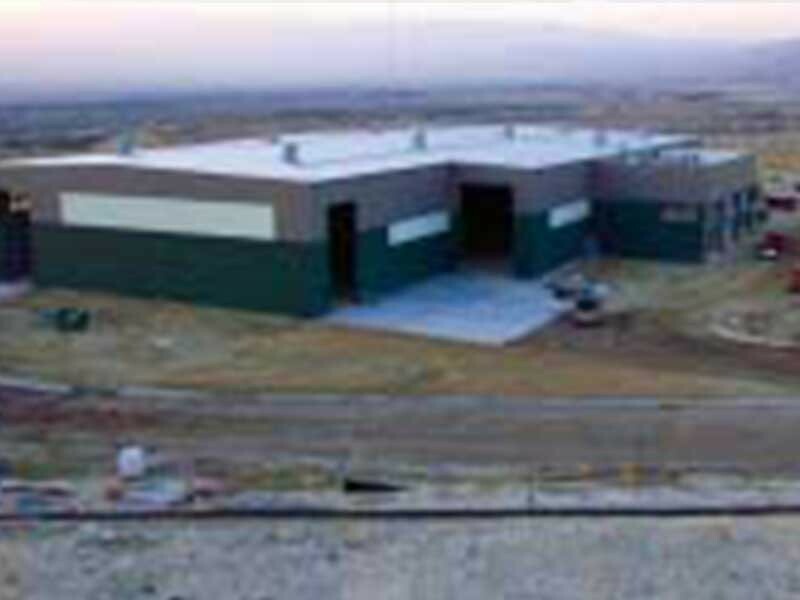 The site was Waste Management’s newly constructed Edom Hill Transfer Station in the Palm Springs area. The system was constructed over a two month period and included the collection system, storage tanks, treatment system, and dispersal field. IWS completed the project on schedule and worked with the client in coordinating site activities to accommodate the various trades working on-site. This project was high profile due to the nature of the facility and the fact that it was the first commercial onsite advanced treatment system installed in Riverside County. IWS worked closely with Riverside County during the construction and start-up of the wastewater system. IWS worked with the Biosolutions, Inc. vendor’s for the wastewater treatment system and tanks to successfully start-up the system on schedule in December 2004. Due to the low percolation rates for the area and other factors, advanced onsite treatment was utilized. The septic tank retains the solids while allowing the effluent wastewater to be treated in the three Orenco AX-20 textile filtration units. Once treated, most of the wastewater is returned to the septic tank while the balance is introduced into the dosing tank. From the dosing tank, the treated wastewater is dispersed to the drip field. The subsurface irrigation will be augmented by domestic water supply to irrigate the curbed “island” in the driveway and parking areas. All aspects of the system operation are automated through a control panel adjacent to the treatment area. The system is monitored continuously via a telemetry based system using a phone line connected to the panel.